If you've been arrested for drunk driving in Michigan with a blood alcohol content above 0.17, you will most likely be charged with "Michigan Super Drunk" aka Michigan High BAC. This enhanced offense is defined as operating with a alcohol content of 0.17 grams or more per 100 milliliters of blood, per 210 liters of breath, or per 67 milliliters of urine. If convicted of this offense, you faced an enhanced Michigan drunk driving sentence, with the maximum jail sentence for a Super Drunk charge being 180 days along with a license suspension of 45 days and 320 days of driving with a restricted permit. You will also be required to have an ignition interlock device installed in your vehicle during the restricted time period, and face possible vehicle immobilization or forfeiture. 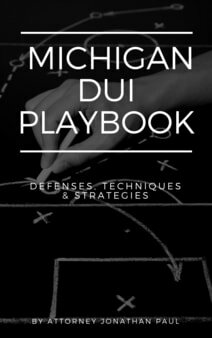 A Super Drunk offense in Michigan is serious, but there are many ways to challenge this charge. 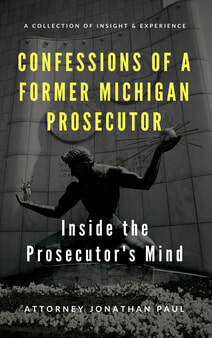 An experienced Michigan Super Drunk attorney will file pre-trial motions, challenge the traffic stop, challenge the operation of the vehicle, challenge field sobriety tests, challenge the admissibility of statements, challenge the probable cause to arrest, challenge the admissibility and accuracy of blood results and/or the admissibility and accuracy of DataMaster results. One effective defense in a Michigan Super Drunk case is the Michigan Rising Blood Alcohol Content Defense. If charged with Super Drunk in Michigan, speak to an experienced Michigan DUI attorney immediately. The prosecution is building a case against you, and a pro-active defense is the best defense for challenging this charge. - Up to 180 days in jail. - $200 to $700 fine. - Driver's license suspension for 1 year. Eligible for restrictions after 45 days of suspension if an ignition interlock device is installed on all vehicles the offender owns or intends to operate. - Possible metal license plate confiscation if the offender operates a vehicle without a properly installed ignition interlock device. - Mandatory vehicle immobilization if the offense is subsequently convicted for operating a vehicle without a properly installed ignition interlock device. - Driver Responsibility Fee of $1000 for 2 consecutive years.